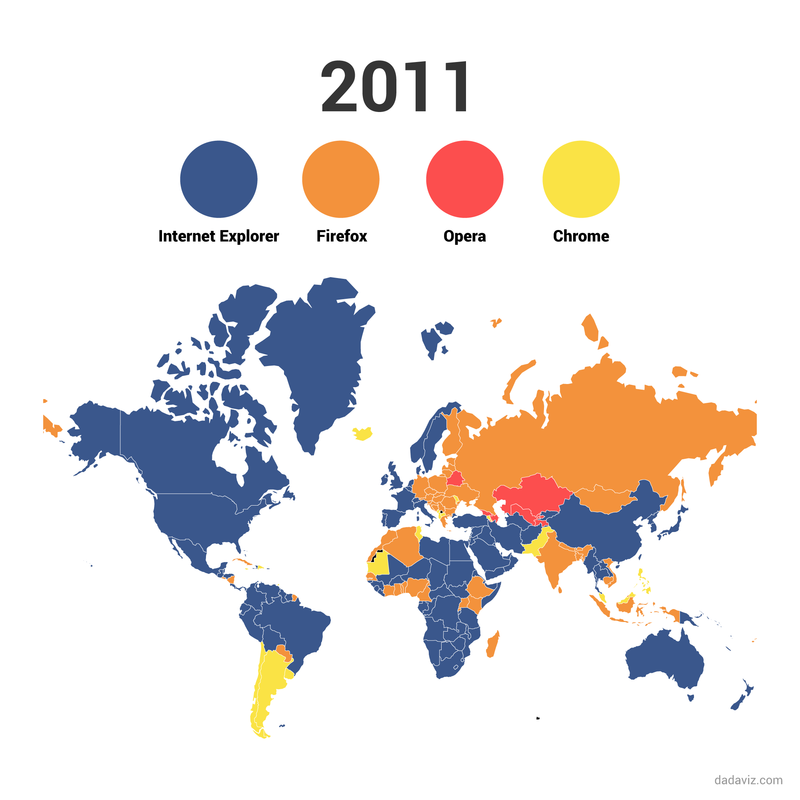 See the web browsers (Internet Explorer, Firefox, Opera and Chrome) battled for the dominance from the year 2008 to 2015 in these world-maps. 2008: Internet Explorer used to dominate worldwide. 2009: Popularity of Opera in Eastern Europe and Russia. 2010: Firefox slowly taking over from Opera, still no competition to IE. 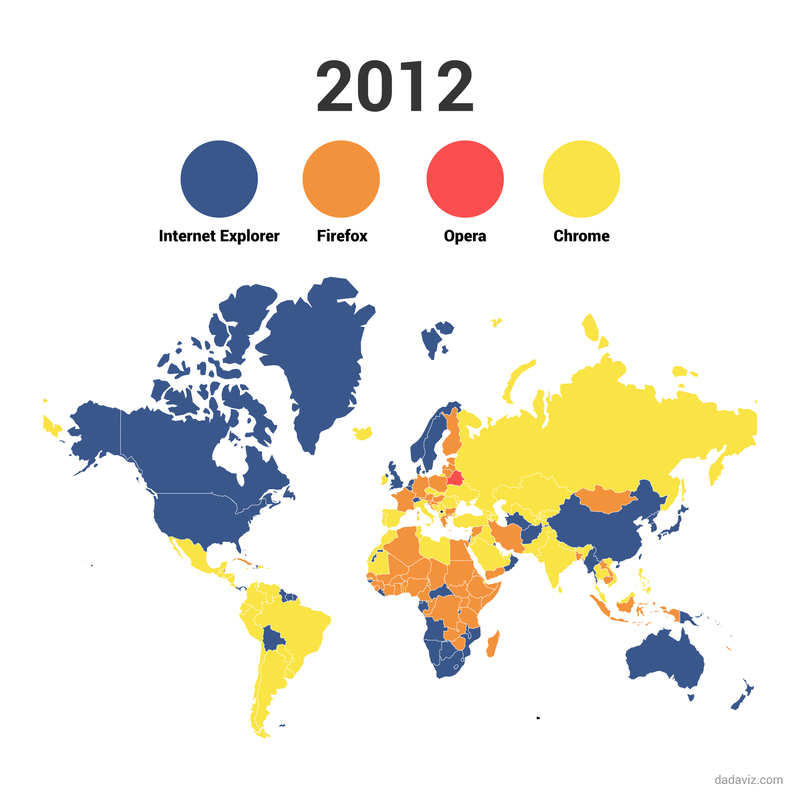 2012: The Battle is now in three giants -- IE, Firefox and Chrome. Opera is out of the scene. 2014: Safari is popular in Greenland for a year. 2015: Chrome - Still the most used browser worldwide.